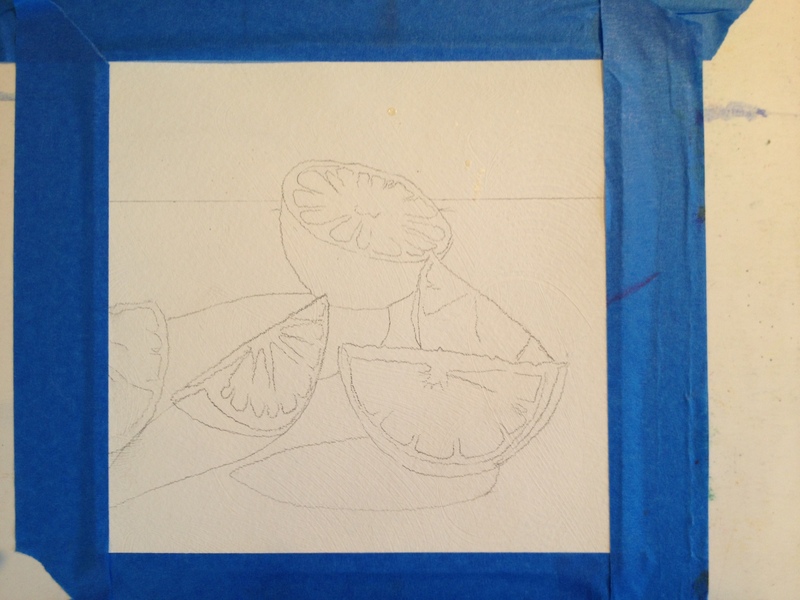 Photo reference for lime painting. Taken in my back yard. Finished. A Slice of Summer. 8×8 unframed on gessoed watercolor paper. $30 today only. I love the background purples. By spraying water into semi-wet watercolor and dabbing it off, amazing texture can result, which is exactly what happened here. 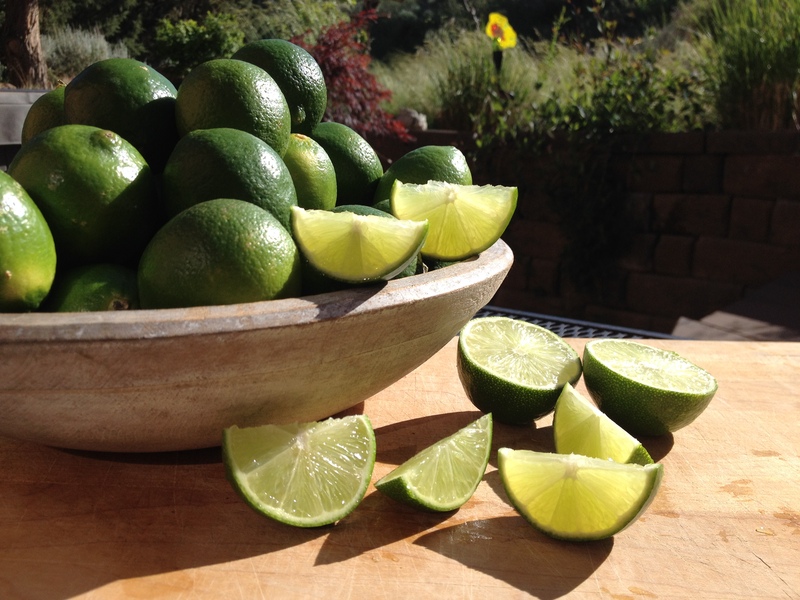 The limes are fresh and bursting with citrus-y color. Enjoy the Thirty-Dollar Thursday, everyone! 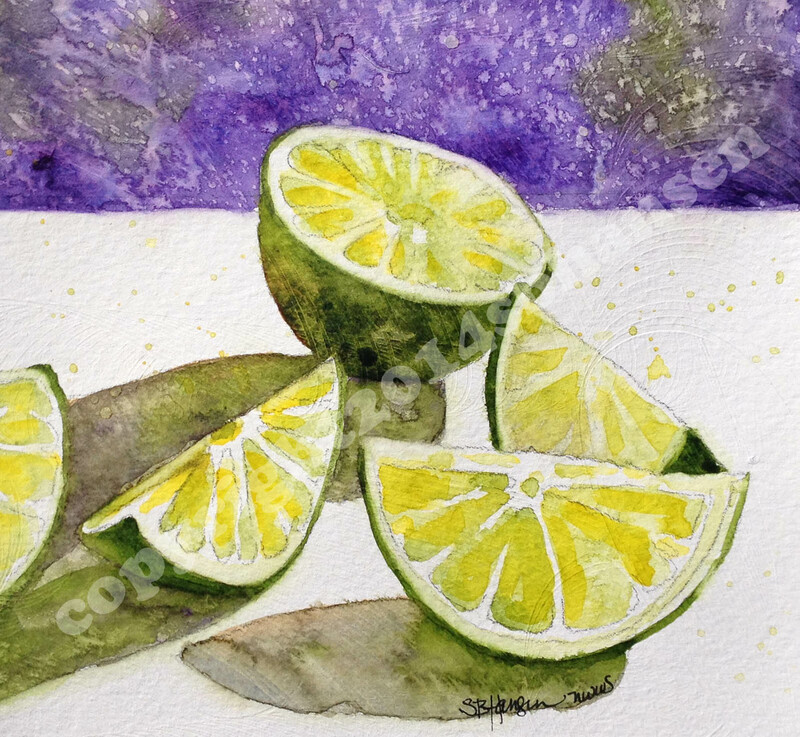 Message me if you want the lime painting for $30 today. These sell for $50 in my online store. First come, first serve! They have been selling like Hot Cakes every Thursday, so if you want it, jump on it right away. Visit and “Like” me on my FB page for more info and upcoming events. I’ll be having a studio sale this summer. Make sure you follow me and like me here (scroll down to the bottom of the page and “follow”, which means you get an email only when I post), and on FB to be “in the know”. LOTS of paintings will be on SUPER-SALE. I haven’t pinned the dates down yet, so stay connected and stay tuned! Thanks everyone for your support! Feed the Beast, people! Thank you. I’ll look you up.